The majority of stops on the GWR's Wombourne Branch were merely halts (see Bromley Halt, Brockmoor Halt etc . . .) however, Himley was deemed worthy of station status. 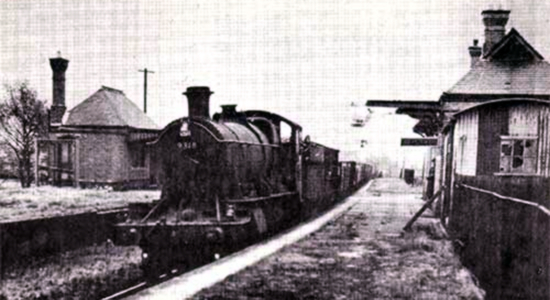 Unfortunately, the GWR overestimated the demand for a railway service and the station, as with the line itself, was only open to passengers for seven years between 1925 and 1932. The scene above (photo: Michael Hale) shows the station in 1956, looking South, when the line was still being used for goods traffic, although this too would cease in 1965. 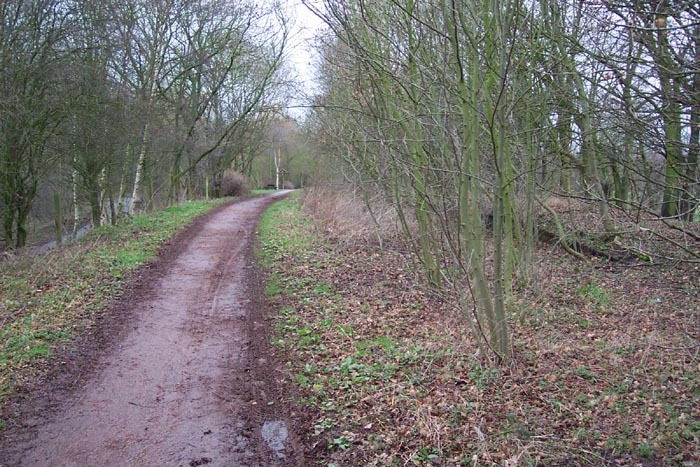 Interestingly, the trackbed is now utilised as the South Staffordshire Railway Walk. 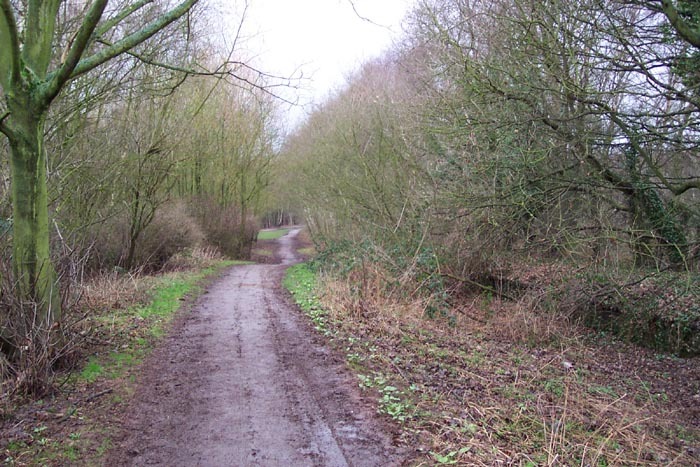 The route is pleasantly rural and runs through land previously owned by the Earl of Dudley and on part of which Baggeridge Colliery once stood which, incidentally, was once served by the single-track predecessor to the Wombourne branch. 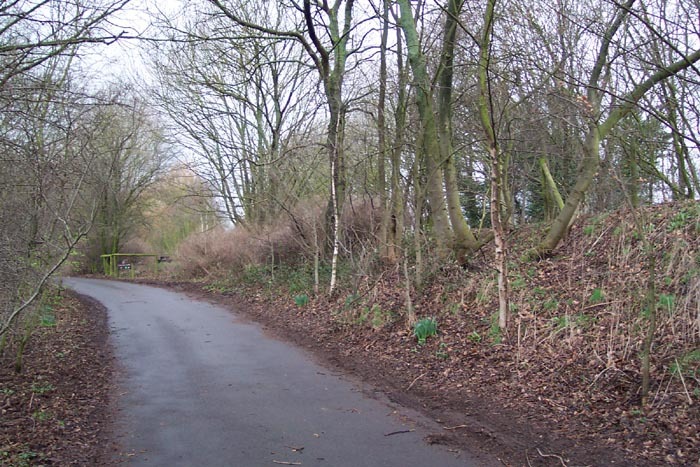 Above-right we are walking up the one-time station approach road from Himley Lane with the trackbed at the top of the bank to our right. Above-right we are standing roughly where Micahel Hale was standing to take the photograph at the top of this page: the walkway running over the North-bound platform with the trackbed to our left. 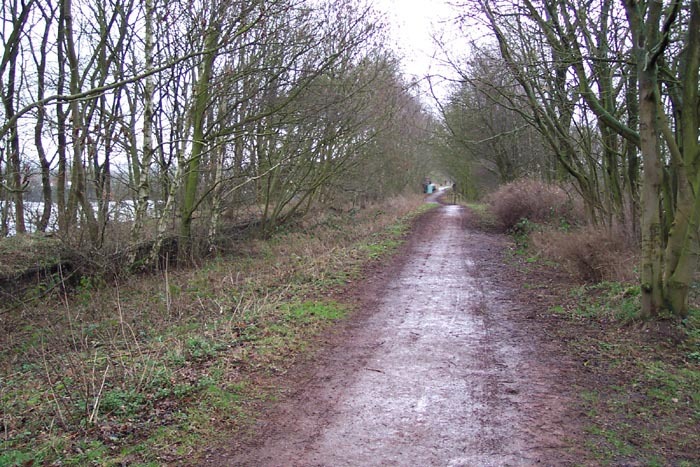 The station buildings would have been just ahead of us and beyond them is a bridge taking the lines over Himley Lane. 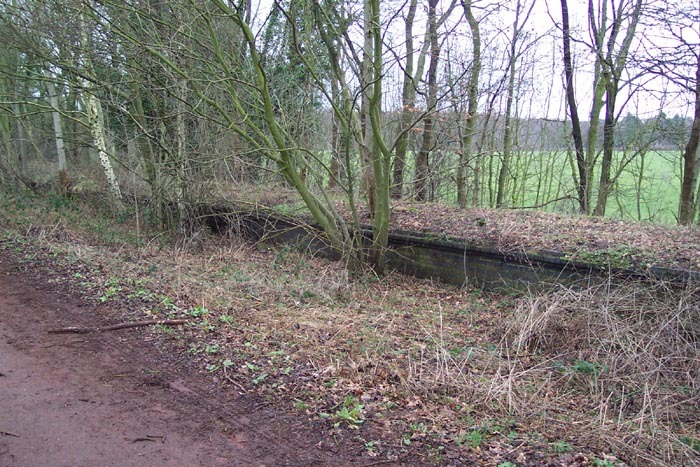 Above-left we are at the southern end of the platforms looking towards Wombourne with the heavily overgrown Stourbridge platform to our right. Above-right we are still looking towards Wombourne but this time have moved along the platform to its northern end. Above-left we are taking a closer look at the Stourbridge platform in roughly the spot once occupied by the small brick station building seen on the left of Michael Hale's photograph: no trace of which remains today. 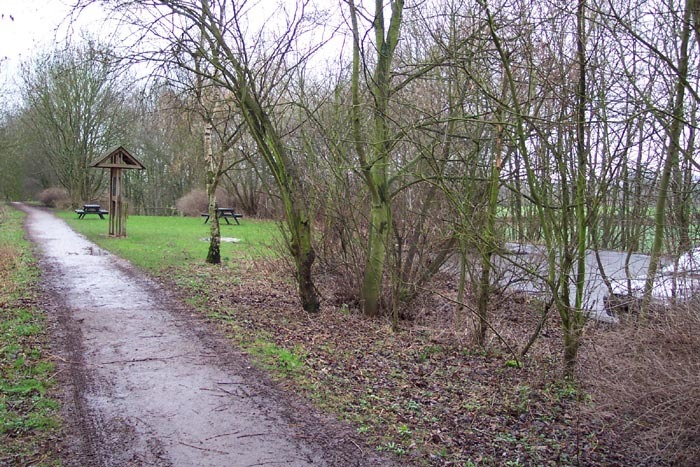 Above-right we are looking at what is now a picnic area but was once the point of entry to the station and was occupied by the main station structure seen on the right in Michael Hale's photograph. I have to admit to being a little disappointed at this spot as, although it is good to see the platforms and trackbed preserved in this manner, I was rather hoping to see the station buildings too: unrealistic I know!